Delve into the exciting world of metaphysics! in my South Burlington home or on Free conference call! September 3 to 22, 2014 you will save $25! Beginner’s Psychic Development Workshop: Everyone has psychic abilities! The word psychic means “of the Soul.” This workshop is designed to help you get in touch with your psychic energies; through grounding, understanding the energy channels within the body, the meaning of the Chakras as well as the energy of the Chakras; the Aura and the layers of the Aura. Throughout this workshop I will be teaching you techniques and exercises that will enhance your abilities and allow you to open up to your own unique talents! This workshop is approximately 2 hours long. Intermediate Psychic Development Workshop: In this second workshop we will focus on your multi dimensional inner connection (the bonding of your soul, experience and reasoning abilities); releasing energy patterns and belief systems; and clearing and healing. Throughout this workshop you will be learning to entwine your emotions, logic and spirit/soul energy so that you can make clear decisions and have clear perceptions about yourself and your life. We will do many exercises to enhance your connection to yourself, release and heal! This workshop is approximately 2 hours long. Advanced Psychic Development Workshop: In this third workshop we will be working on your connection with others. Your relationships offer energy exchanges of all kinds; sometimes it is an energizing experience and sometimes it is downright draining! The key to psychic ability is to be able to maintain your energy identity no matter who you are dealing with so we will focus on feelings of resistance, energy channels between you and another; releasing resistance, guilt, control, karma, and any energy that limits your confidence and self expression. We will do many exercises to increase your understanding of your most important relationships! This workshop is approximately 2 hours long. This series is traditionally $225! If you would like to purchase this series, click on the paypal link below or you may mail me your check. This Psychic Development Series makes a great gift, I will either email or mail a Gift Certificate to you or whomever you choose. Just send me an email letting me of your intention and who you are sending it to and what you would like to say. These classes will be taking place in person and on free conference call so you don't need to be present to experience them! If you still want to attend but can't take advantage of my special offer the fee is $225 and needs to be prepaid with paypal or with check by October 11. (charged to merchants for all credit card transactions). "I was thrilled with the content of the Psychic Development Workshop and was certain after just the first session that it would prove to be one of the most powerful and effective aids to lasting transformation I will ever engage in. I think the exercises you have given us in the course of three weeks were so helpful, valuable, relevant and easy to apply in a number of daily circumstances; I have been amazed at the change in myself. Thank you, Lydia.”"
Lizabeth T a free conference call student. in person at my home in South Burlington, VT! Beginner to Intermediate Level Psychic Development Classes. There are 13 classes in this series. The focus of these classes will be to get completely in touch with yourself and your energy before addressing the energies of others. Since the word “psychic” means of the soul, psychic development is about developing a soul connection which opens the door to greater communion with yourself, your experiences (past and present), your own purpose and truth which enhances your understanding of others. You will learn how to transcend your physical body: by experiencing the many facets of yourself, trance states, moving your energy within the body and outside the body, understanding the principles of energy, learning to ground your energy, and understanding the energy channels or chakras. I will teach you how to regulate your energy patterns as it relates to your chakras, aura, consciousness levels, and your contractual agreement between body and soul. From there you will learn to release self restricting energy patterns; such as: frozen or blocked internal energy, cracked or draining energy, masked energy, as well as addressing your belief patterns and those beliefs of other people whom you hold in greater esteem than yourself. Some childhood patterns will be discussed and released. During this time we will be doing many releases: of fear, guilt, inadequacy, and many other energy drains. This clearing will give you the chance to create your own reality, beliefs and self realization, therefore, helping you discover your own true self, what you are responsible for; which creates self realization, self healing and truly connecting with your psychic skills. From this point you will be ready to address the collective reality: understanding astral planes, experiencing astral projection and time travel. We will then explore your relationship with others: your energy exchange and communication, resistance and affinity and merging auras and chakras, karma and contracts, and changing patterns. You will learn the art of healing another's energy: the ethics of healing, methods of healing and learning to give a healing. It is not necessary to have a partner when reading or healing another. Whether you are attending this class in person or through free conference calling you do not need a partner when it comes to reading or healing another. You may use a photo or a mental image of someone or if you like you may invite someone into your space for these two classes (I will announce it in advance). This is just a condensed explanation of the work we will be doing, there will be so much more and you will be actively experiencing these states as I guide you using 88 exercise techniques to get you there! Keep in mind these classes will benefit everyone and you don’t need to have aspirations of becoming a professional psychic to attend. It is unnecessary to purchase any books for this class, I will be exploring every aspect of psychic development and any printed information you will need will be emailed to you before each class and you can either download it onto your device or you can print it for the upcoming class. There isn’t any homework, I will discuss each topic in depth and take you through guided exercises so that you can experience what I am teaching you. If you want to practice some of the exercises or study the material on your own, you are welcome to do so. 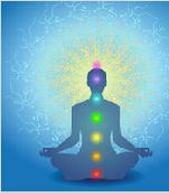 An example of how I will approach a topic: We will do in depth study of Chakras and then we will be doing several guided exercises to experience your Chakras, their energy and the state that they are in during class. Rudolf Steiner believed in immersing oneself in the learning process and so do I. We can read, study, and discuss something but if we don't do it or experience it, it is just information. If you have an interest in taking this class with me please let me know your intention! The cost of this life changing experience is $314 equaling $24 per class. I will need 2 Payments of $157.00 before the class begins; your first payment is due 3 weeks before the first class and the second payment is due on the day of the 1st class. (Long distance students, will need to make their second payment with check or paypal the day before the 1st class). Early birds who pre-register and prepay in full, will get a $35 discount on the classes and pay the low price of $279.00 (+PAYPAL fee of $10). You may also mail me a check for $279.00. Classes will be approximately 90 minutes. Class Schedule will be announced. I will be accepting 10 students for in person attendance, conference call students have limitless attendance. If you can't attend a class I will record the class for you and you will receive the audio download in your email box on the same day as the class. You may miss 3 classes and receive 3 recordings. This is not a correspondence course, your attendance whether in person or over the phone is necessary and appreciated by the other students and myself and adds to the experience. These classes are very therapeutic as well as instructive. You will get in touch with many aspects of yourself, and you will also heal yourself in the process. With less baggage you can become your true self and have a very perceptive understanding of your needs and wants as well as the people who surround you. “This was a wonderful class. I have studied some these concepts and practices before but you articulate it all so well it made it understandable. I loved listening to you explain about all the levels and layers of energy within and around us. I have read and studied chakras before and experienced energy healings in numerous forms over the years, but your perspective is fresh and clear and I really appreciate that. In every class I have made some powerful connections and seen things that were not always new but always seem clearer somehow and I feel more able to take what I see and sense and apply it to how I am living my life emotionally and spiritually. It is amazing how much knowledge and experience you have, Lydia, and I am grateful to be benefiting from it all! I am really grateful for your caring way of teaching. The class was fabulous. I really liked having that initial exercise to sink into a meditative, receptive state and all the exercises were great, especially the crystal pyramid visualization which I found especially powerful. The exercises you did with us were all amazing! They were powerful and clearing. Being able to experience astral travel/projection was amazing. Going back to a past experience and to a future experience blew me away because they were so quick, and so vivid. By the end of class I felt as if my whole being had shifted into a different, higher, stronger vibration. The class was really one deep, calming and yet also stimulating meditative/spiritual experience. FABULOUS classes, Lydia.” CV...Washington, D.C.
"Thanks for the wonderful class! I'm so enjoying this course, learning a great deal and I feel I am healing as we go along. The information is so rich and the charts (you emailed us) were tops! I'd never seen these concepts, in this much depth. It is fascinating and I'm looking forward to learning more. Understanding Communication Cords was very enlightening for me. I had never heard communications explained in this way but it makes so much sense. I had some real "ah ha" moments during this class. The chart helped to make the concepts so much clearer, too. Thank you! I've learned so much and it's been wonderful to slow down and take the time to do this with you. I feel I've been able to integrate a lot of the work and know that I've been healing through this work. Your materials are well thought out and so organized. Thanks for spending time at the beginning of the class getting us connected to our energy through deep breathing. It really helped me go deeply into the rest of the exercises. I found the energy fabulous and I found I was able to astral travel, too! I was surprised by how many sensations I could experience through astral travel. I felt I had some healing experiences through these exercises as well. I went deeply into these experiences and liked how you led us through them. I really appreciate all the energy and thought you put into these classes. I have really enjoyed your classes and was thrilled to hear you're developing a master class for those of us who participated in the Beginners to Intermediate classes. Much gratitude, KM...Ohio"
“The beginner’s to intermediate Psychic Development Course created the space for me to get in touch with my own inner source of strength and wisdom. My direction shifted from one of outside events and people affecting me, and my reacting to them; to one of inside events and people affecting me and my having a sense of responsibility to the choices I had in my reactions to these inner happenings. The exercises got me in touch with what I call: my real qualities ~ my love, compassion, and understanding for myself and others. As, I forgave, understood, and loved myself ~ it was easier to share that love, compassion and understanding with others. I truly felt throughout these classes ~ I was going “home.” The release of negative emotions (in a space free from guilt, or shame) was a very powerful feeling. When you free yourself ~ you also free others. These classes aided and assisted me in uncovering who I am ~ and who am I? I am a soul in an evolutionary process on my way home ~ sharing along the way with others who are in the same process. As the classes continued it brought me to a stage of faster inner journeying. I uncovered my inner wisdom which was always within me. The healing processes were extremely effective, loving and with a true sense of compassion. I discovered the gifts (my psychic abilities) I was searching for all within me ~ waiting to be uncovered and used. Along with these discoveries comes a responsibility to myself and others to use whatever I have wisely. All my upcoming classes and workshops will be listed here and in my newsletter! You are welcome to periodically check in or sign up for my newsletter. Want to attend a workshop but can't because of other obligations. Now you can order some of my workshops online; check out which ones are available now. You will receive the complete workshop on mp3 files (which you can download onto your computer) and all the written materials via email. And you will be able to email me with your questions after you have listened to the workshop! Host a workshop and get it free! You provide the guests and your home and I will come and teach a workshop! Provide at least 6 guests besides yourself and you will get your workshop free! Are you interested in Metaphysical study? Astrology, Past Life, Flower Essences, Reflective Journaling, Vision Board Workshop, Meditation, The Power of Intentions, Karma, Karma & Astrology, Relationships and Karmic Connections, Psychic Development, Gem and Crystals, Color Healing, Prosperity and Feng Shui. I do lectures and workshops in my home, client's homes or businesses. If you are interested in hosting a workshop, or lecture please contact me. Clients who host one of my workshops and is able to guarantee at least 10 students will get their workshop free! Join my mailing list to receive details on my upcoming classes and you will also receive my newsletter for free. "Journaling has always been an intangible process for me. Every time I tried to journal in the past the blank pages stayed blank. These classes were so different I found myself writing like a journaling diva and more importantly got in touch with some really important pieces of myself and my guides. Thanks." and get the structure and expertise your class offered!" "I want you to know you are very important to me as a teacher and a friend. I am looking at the New Year. and learn that they are all connected "like Beads"
and I will be added my VALUES to this process." "That we can now think of no mechanism for Astrology is relevant but unconvincing. No mechanism was know, for example, for continental drift when it was proposed by Wegener. Nevertheless, we see that Wegener was right, and those who objected on the grounds of unavailable mechanism were wrong." The featured image is Mars.